As I have said before, it's tough looking for my next read. It sometimes take too long to find it, the right mood, the right feel, the right intensity, the right voice. 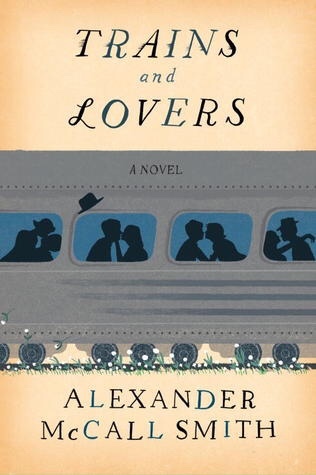 I love trains and so when I saw this book, Trains and Lovers by Alexander McCall Smith, I was attracted to it except I'm not sure about the "lovers" part. It's about four strangers meeting in a train and if they all end up in torrid love affairs in the train, I am not interested. Thankfully it is not so. I started reading it tentatively and I soon found myself absorbed in the four love stories of the four passengers. I became like a fifth passenger listening on their life stories but with an advantage to also listen on to their thoughts and feelings. They are stories of love at first sight, of forbidden love, of love of the long-lasting kind and of trust. A very good find indeed it was.